We are listed amongst the top manufacturers and suppliers of an exclusive range of Courier Bags. By using the offered bag, one can easily identify the contents inside the bag. These are designed using co-extruded polyethylene with customized thickness. Due to their salient features like fine finish, enhanced durability and long service life, these have become popular in the national market.Our organization is actively engaged in manufacturing, trading and supplying of Printed Courier Packaging Bags. 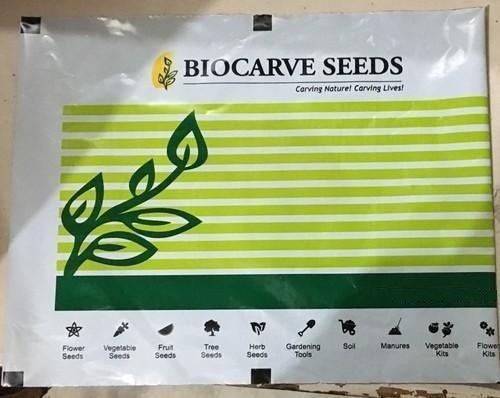 The provided bags are manufactured using the finest quality basic material and innovative technology. Established in the year 2014, at Ludhiana (Punjab, India) we, "Packing India", are the leading manufacturer and supplier of a qualitative range of Transparent Disposable Product, Aluminium Foil, Bubble Wrap, Cable Tie, Hologram Sticker, etc. The offered products are precisely designed and manufactured with high precision using top-notch quality factor inputs and advanced technology as per the set industry standards. Widely acknowledged for their durability, flawless finish, water proof nature, tear resistance and high reliability, these products are high on demand and used for packing of grocery products. In addition to this, our esteemed clients avail these products from us in various specifications and can be customized as per the detailed requirements of our clients at affordable price range.